Rigid replacement flap. Suitable for Petsafe / Staywell Large Original pet doors - 760, 775, 777. This flap has no magnets on the bottom, you need to use the magnets from the flap being replaced. 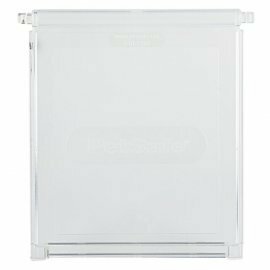 If the magnets are missing or damaged you will need to purchase PAC26-11458, large replacement flap with magnets included.